Each vehicle will contain three cars, separated by accordion pleat perforations. “And actually the center segment is a low floor segment so when it comes up to a station and you get on that vehicle, it’s completely flush with the sidewalk or the platform at that stop,” Polenske says. Once you step aboard, you’ll have to pay to ride the streetcar. “Initially, we believe a fare will be a dollar per trip," he says. "Right now, we are working on a fare structure because it could be a dollar per trip for a person who’s coming on board, but we’re also looking at providing monthly passes per se." A Pennsylvania company is building Milwaukee’s streetcars. Polenske says the city will run four of them on the two-mile route – and perhaps add another, once it extends service to the lakefront. Initially, there will be 18 stops, with a car arriving about every 10 minutes or so, from 5:00 a.m. until midnight. 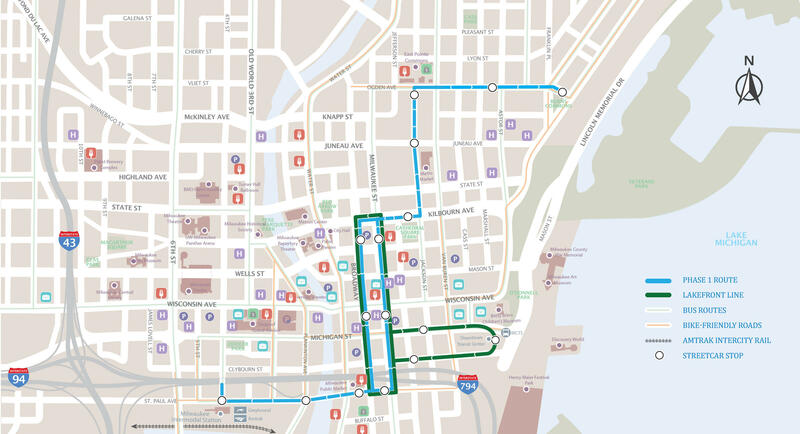 The streetcar's initial route map. 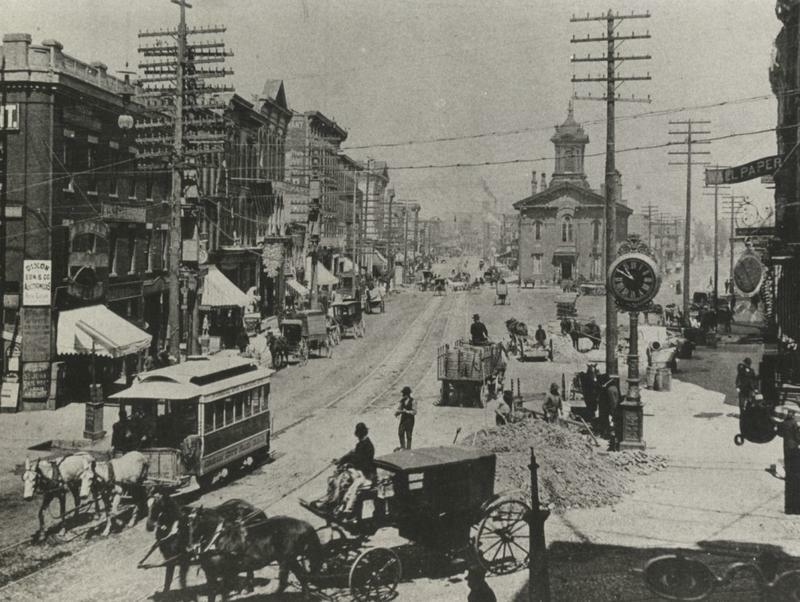 On some streets, the streetcars will run down the middle of the road; on others they’ll run along the right side. And Polenske expects the cars to function well, in winter. “Streetcars operate very well in snow. The route will be plowed just as the roadways are plowed for automobiles,” he says. 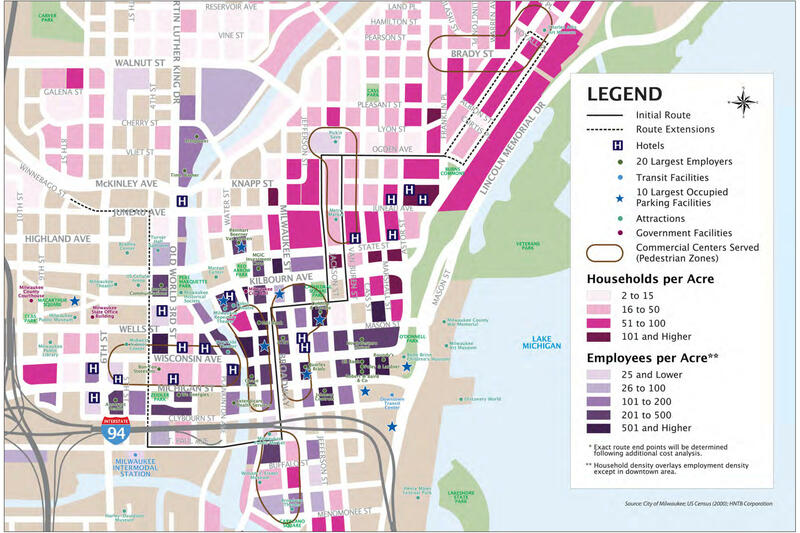 City leaders commissioned an extensive federal study on the streetcar; it predicts the downtown loop alone will generate more than 600,000 rides per year. 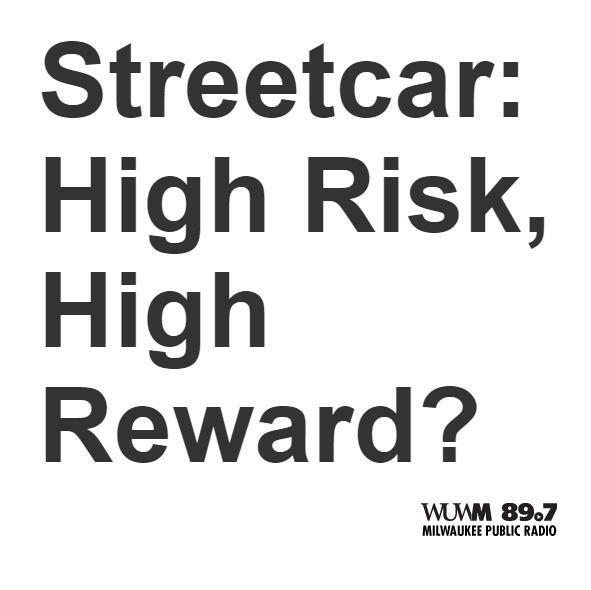 The study looked at common destinations along the streetcar route. “We will meet or exceed our projected numbers. I feel very confident of that,” Beth Wierick says. She's executive director of the Milwaukee Downtown business improvement district. It’s been promoting the streetcar to developers and employers who’ve been locating along the route. 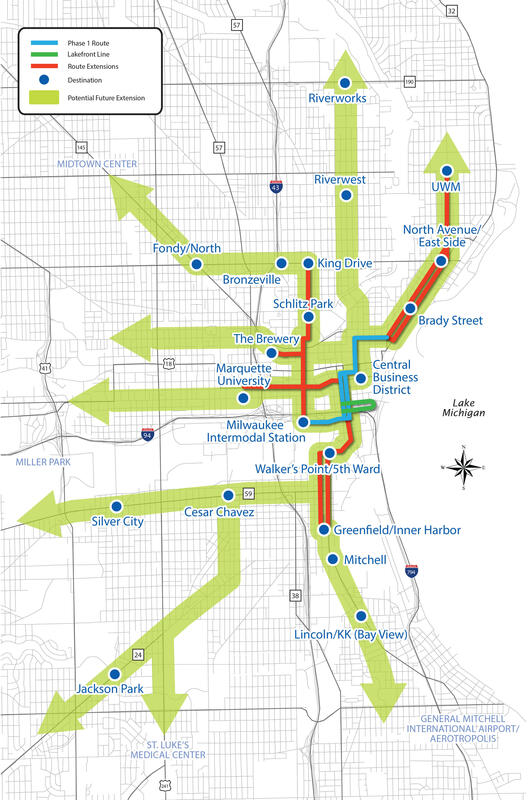 Potential future extensions of the Milwaukee streetcar route. 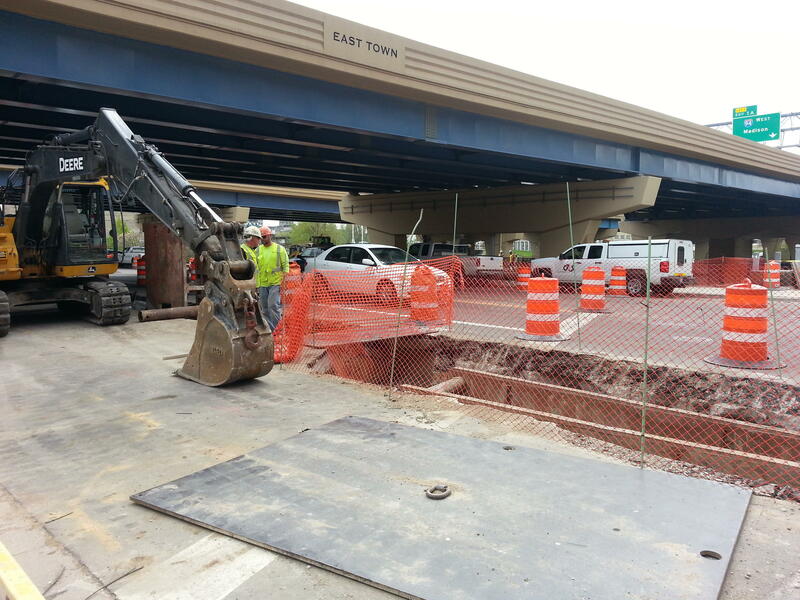 “If you just look at our 83,000 employees in downtown Milwaukee and our 22,000 residents, we know right there that we’re going to have built-in passengers,” Wierick says. 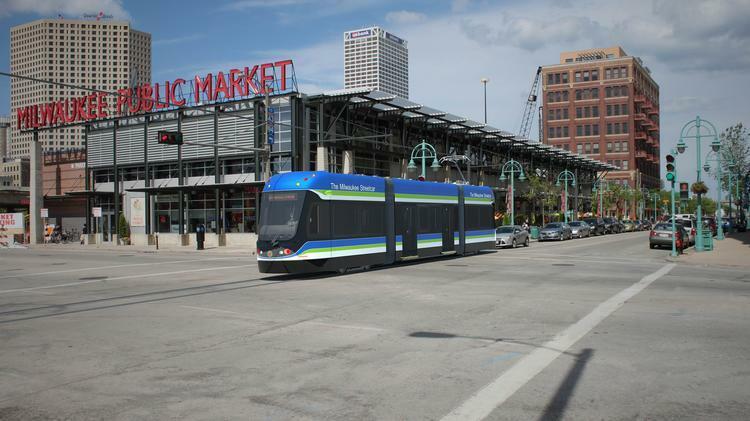 City planners want to eventually extend the streetcar system to surrounding neighborhoods and to other transportation hubs such as the airport. The study indicates ridership would double. One person who’s skeptical of a net benefit is Ald. Mark Borkowski. “The vision is having an extension out to UWM, maybe extending to Potawatomi, maybe having an extension to Miller Park and maybe even out to State Fair and obviously the more extensions you have, the more costs you have,” he says. Borkowski has been an outspoken opponent of the streetcar since he took office a year ago. And now he heads the Common Council committee that would have to approve any extensions. He says he’s concerned about streetcars in other cities that have debuted to a host of problems. 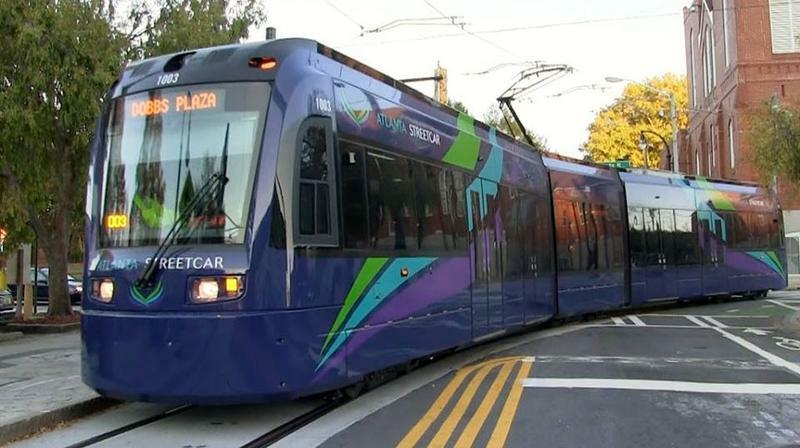 Next, we look into streetcar projects elsewhere.